I have never really felt that the value proposition of the gogo service was particularly great. The cost of the service is generally high and the service quality has not been spectacular. Still, on my flight home this past Monday I had some work to get done and doing it on the plane would save me a few hours. Plus it was billable time so I could easily justify the cost of the service for the sake of getting the billable revenue. So I gave it a try. You’re on a busy route; it’s possible there is a large number of users on your flight, which can affect speeds. Unfortunately, we’re not able to ‘fix’ bandwidth issues, as the factors that can cause them – including location relative to our towers and the number of users on your flight – are all outside our control. They offered me a freebie for the next time I need to use the service, which I guess is OK, but given that it barely works on the flights where I’d actually want to use it I’m not so sure what the value is there. I’m not so surprised by this problem; last time I tried to use it I had similar performance issues. Then I blamed it on the fact that more folks were using it because it was free that day. Apparently that’s not the issue at all. Oh, and it wasn’t just me. Runway Girl was having similar troubles on her westbound flight; we tweeted about it a bit. In the end the service just doesn’t work for me, at least not well enough that I’m willing to pay for it. So I’ll be saving my money and reading or writing on the planes instead. Probably better for me overall anyways. One gotcha you should warn people about: When you sign up and enter your CC number, you actually agree to monthly renewals of the service (even if you don’t want it!). So, if you don’t want the service (and the billing) to continue, make sure you cancel before your first month of service ends. Yes, the service was acceptable if you’re sending text-only emails with no attachments and don’t really need to worry about the timing of the delivery of those messages. But I was looking to do more than just that, especially at >$10 per flight. And sharing a 56K modem with others is a really bad way to experience online connectivity. @Lark- The service on UA p.s. flights IS gogo so not sure what you’re comparing to. There is one 757 flying with the Row44 service but it is going away soon anyways. And you can absolutely sign up for a single flight or a monthly pass; pay attention to which option you’re choosing. Just too much cash for too little benefit for me to keep paying those rates. Those numbers reflect the performance of a 56k bps modem. That should be fine for sending or receiving email without big attachments. 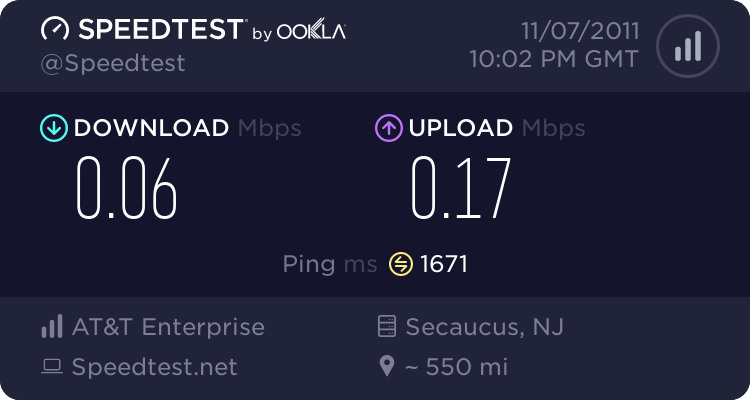 On the other hand, the latency will limit upload & download performance, as the client will probably fill the TCP window before ACKs are received. Maybe GoGo should switch to a usage-based system. It would make those who use the most bandwidth pay appropriately and those who only pull down a few emails (or, like you, essentially get no bandwidth) pay less. I used GoGo once on VX and it was barely usable. I love gogo and buy it every chance I can. I think it is definitely worth the money when they aren’t giving it away for free and slowing down the network. I’m curious to see how this new generation on board internet will fare. Airlines are spending money to carry the equipment around and very few are willing to pay for the service. 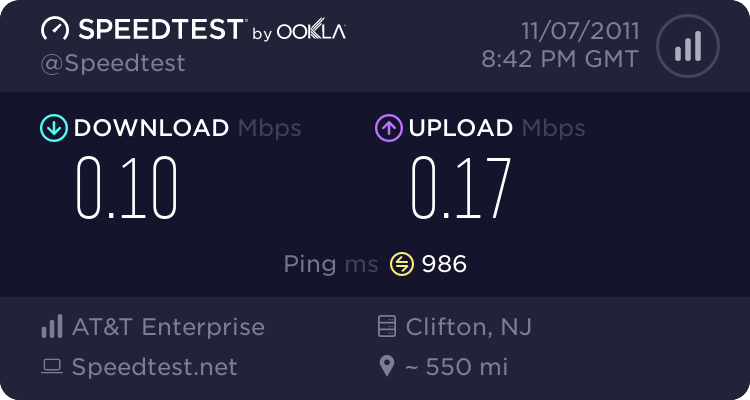 If those who pay for it on trunk routes like LA-NYC don’t get the service quality, it doesn’t bode well, especially since users will run bandwidth hogging office application or browse the net with it. Note that the ubercool 56kbps line yesteryear will choke on anything standard in webcontent today. I use gogo on my AA MD80s between RNO and DFW all the time. I’ve actually been able to video conference from my seat on that route. I think the only upside is that we know the speed will eventually improve. I bought the monthly pass because I had 4 upcoming DL flights and there was a $10 off offer on the gogo log in page… I did shoot them a note about 3 weeks in to the month and they cancelled the recurring paymets. For what I did on my DL flights – basic stuff on the web and with e-mail – the speed was OK.
@ Matthew – You can say that again! The monthly subscription is worth it for me since I use it mostly on tourist heavy Florida flights where there are fewer customers for it and also on short connector flights to and from ATL where few want to pay to sign on and then need to sign off in about an hour. I would imagine that Transcons would be another whole ball of wax. I do have ATL-HNL later this month and will sure find out. For me, the speeds are adequate on my regular routes. I have even been able to get Sunday Ticket which ran not without some catch-up pauses but which, on balance, was watchable. I thought Gogo was like ExpertFlyer, does anyone really have their own account? ?